I hiked Mt. Chocorua today via the Champney Falls trail off the Kancamagus Highway. The route was 7.6 miles from the parking area, up to the summit, and back. The AMC White Mountain guide estimated reaching the summit in 3 hours. I was able to do it in 2, hustling right along. The descent took even less time, despite stopping in the falls area to shoot some pictures. The trail was a steady incline for the first couple of miles, ascended a series of switchbacks for perhaps a mile beyond that, with much of the rest above timberline and on bare rock. The views from the summit were outstanding. 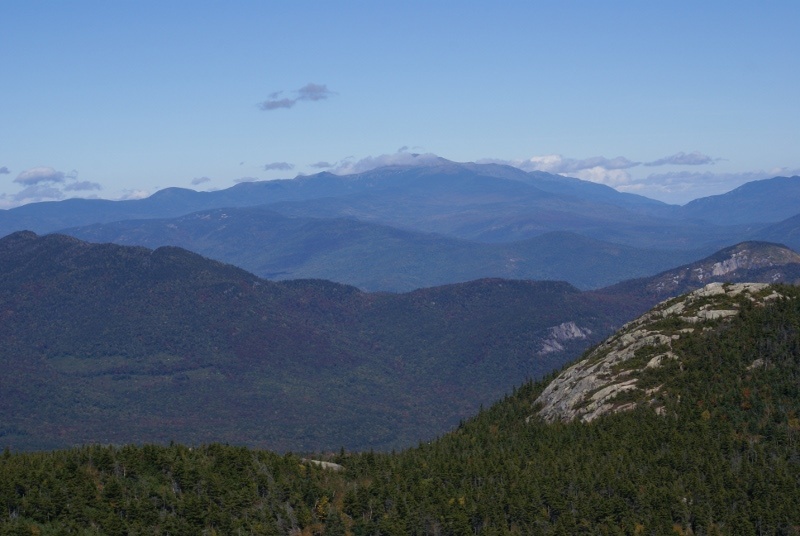 Chocorua is a prominent peak, and even at only ~3,500 feet at the summit, you can see a long way in any direction. Take a look at Mt. Washington, New Hampshire’s highest peak at 6,288 feet, shrouded in clouds. Some of the worst weather in the world can be found up there. 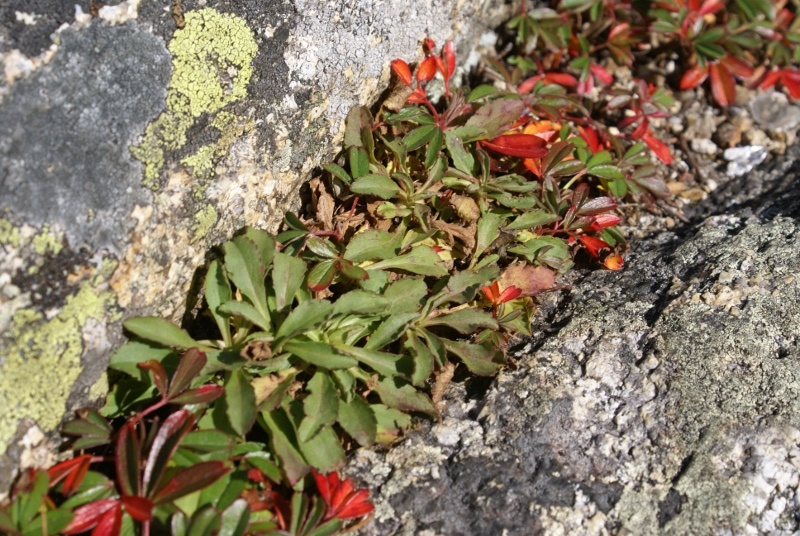 At the Chocorua summit, alpine vegetation like the below could be seen in the cracks of the rocks – tread lightly. 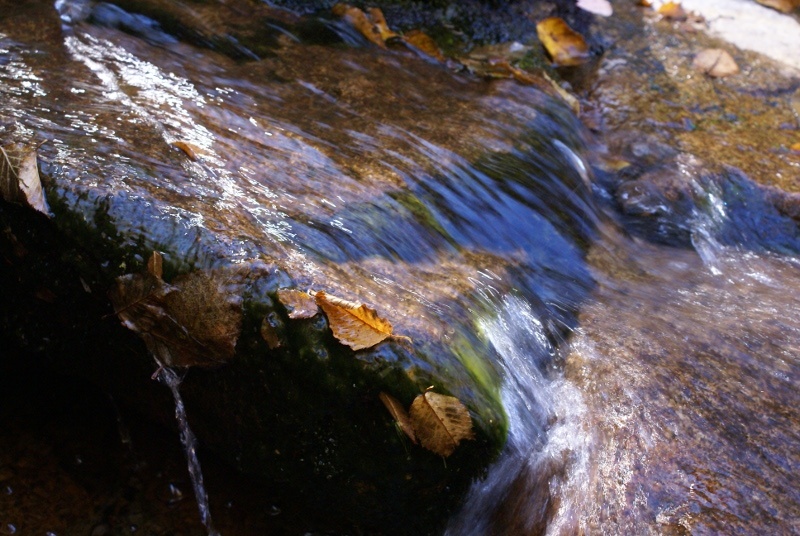 On the descent, I availed myself of a loop trail that takes you by a couple of small waterfalls. The water was crystal-clear, although it’s a bad idea to drink it from what I understand. 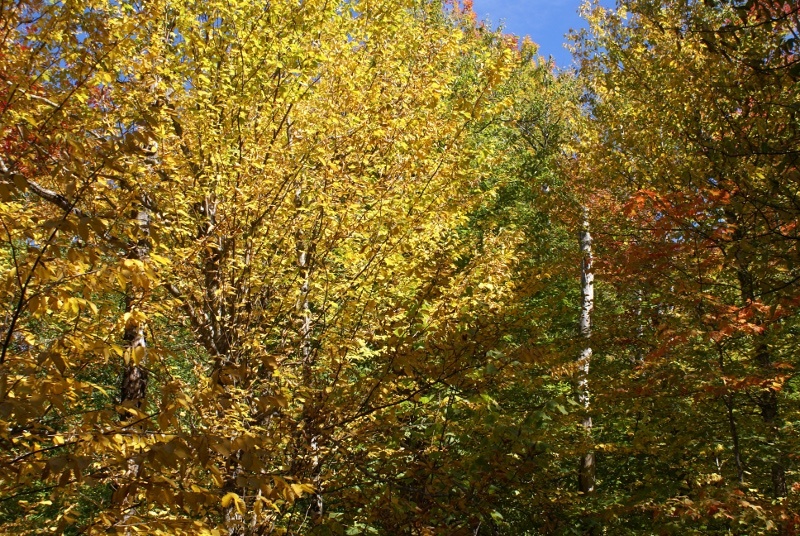 Finally, it was nice to see some fall color, which I think will peak in about a week or so. I pushed hard both up and down the mountain, and feel it in my legs. The cardio work I’ve been doing at the gym has been paying off, however. I felt incredible today. Walking just about above treeline with over 3 miles behind me, a wave of euphoria washed over me…a moment I won’t forget. I have a long way yet to go, but exercising is paying off. Good for you! I’m doing that hike on Tuesday! 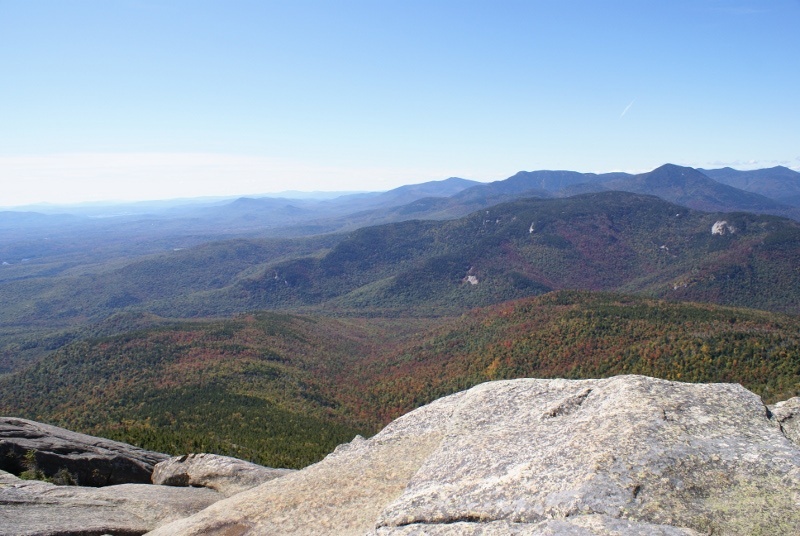 I will definitely have to check out Mt.Chocorua. I’ve been wanting to mix up my locations and it looks like it’s only 3 hrs away from Boston. Any others in that area you recommend? Have you tried Mt Washington? Not for many years. Mt. Washington is not as daunting as it might seem from a hiking perspective, though. The distances are reasonable. The rock fields can be tough on your knees. There are a ton of approaches. In the winter, that’s serious business though. The weather in the Presidentials (or anywhere in the Whites) can literally kill someone who is unprepared and/or foolhardy. I don’t do much hiking above treeline in the winter just yet. Check out http://nh48.wordpress.com where my wife and I jointly blog about our hikes. She’s been doing a lot more than me lately, but I’ll be picking it back up soon.